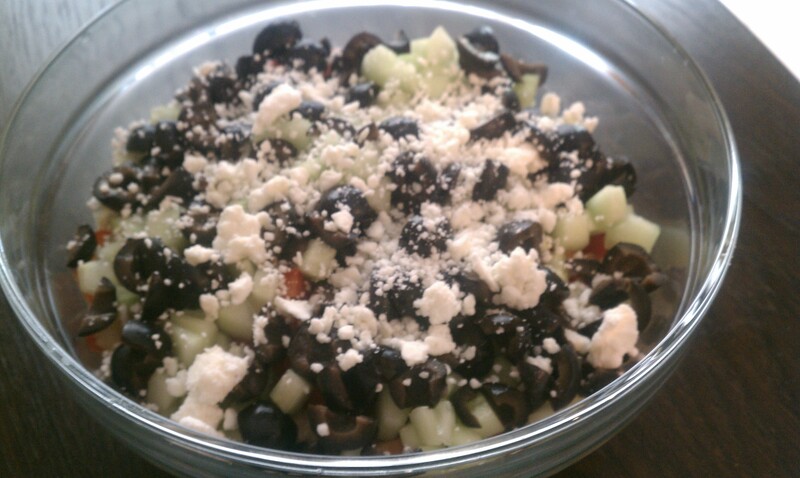 I found a 7 layer Greek Salad Dip recipe, but decided to make it easier I would only use 5 ingrediants! 1. Cut and dice the cucumber and red pepper. 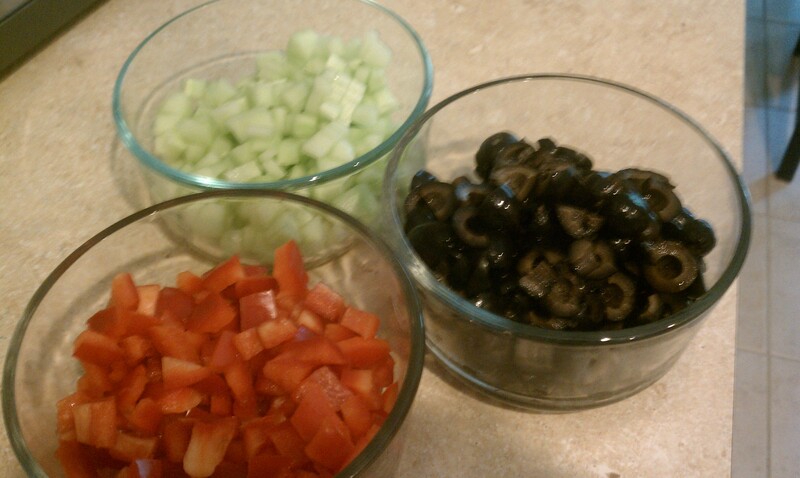 Red Peppers, olives and cucumbers. 2. 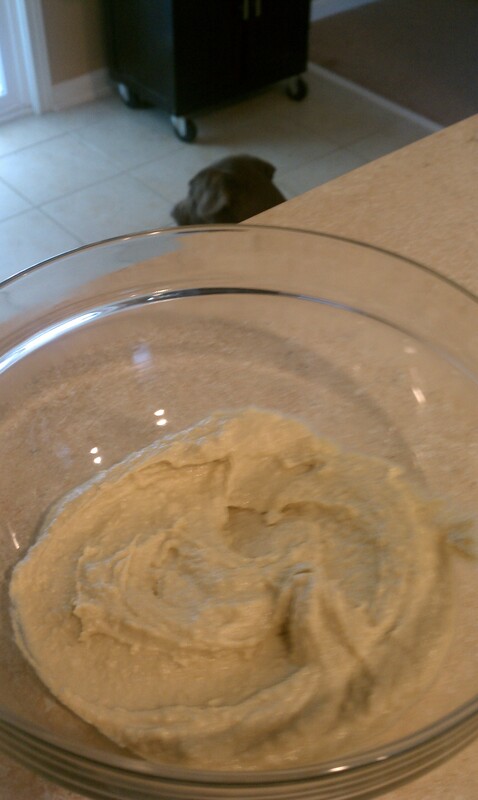 Spread the bottom of a bowl with hummus. 3. Layer the items to your liking and then repeat the layers.